Parents and friends enjoyed a concert this evening featuring all three bands. 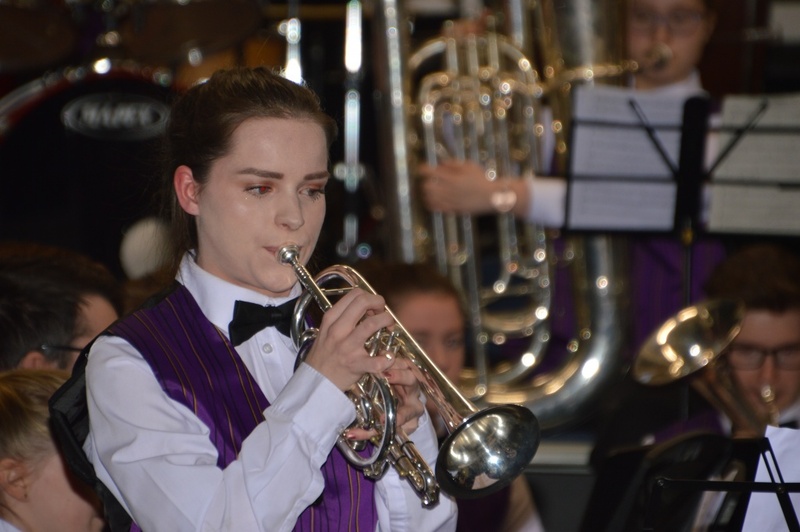 Starting with our beginner Band, the audience was treated to a selection of pieces that the band isworking on ahead of the upcoming Nestle Festival of Music. The junior band then featured the band minus their conductor, Tom, showing just how well the band can play before continuing to play a varied set. Finally, the youth band brought a preview of their upcoming CD “Carnival” featuring a couple of “mature” additions to the percussion selection. Well done to all our bands. You are sounding in fine form and are sure to do really well at your upcoming competitions.